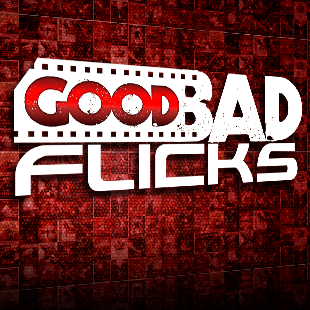 The Escapist will host exclusive episodes of GoodBadFlicks! Good news, everyone: GoodBadFlicks is now live on The Escapist! You can watch the first exclusive video below and tune in every Monday for more exclusive GoodBadFlicks. Cecil Trachenburg, expert on good, bad, and ugly movies alike, is joining The Escapist team! You may know Cecil's work from his show, GoodBadFlicks, where he shares his opinion on all the gloriously good bad flicks available, primarily obscure films and B movies, as well as the current state of the movie and television industries. Through this partnership, The Escapist will feature one exclusive GoodBadFlicks episode a week. "Bringing Cecil and GoodBadFlicks to The Escapist is going to be a truly awesome addition to our weekly content lineup," said Josh Vanderwall, Editor in Chief of The Escapist. And we're not the only ones excited about the news; Cecil himself had some exciting words to share: "5 out of 5 Super Mutants agree, this is awesome news." Fans of the show can tune into The Escapist every Monday for an exclusive GoodBadFlicks episode. New fans of GoodBadFlicks can check Cecil out on Twitter and head to the GoodBadFlicks YouTube channel to catch up on all GoodBadFlicks reviews and Cecil's weekly Netflix suggestions. The first exclusive episode of GoodBadFlicks will air on The Escapist on Monday, April 27!